Rina's Rainbow: 4th Babypalooza Bazaar + A Giveaway! I am all for breastfeeding. But ther's no doubt that it is not as easy. I for one had a hard time during my first few months. I wanted to give up. It was physically exhausting. And it becomes emotionally exhausting as well when you feel like you don't produce enough milk and your baby keeps crying because he/she wants more. Are you with child? Is this your first pregnancy? 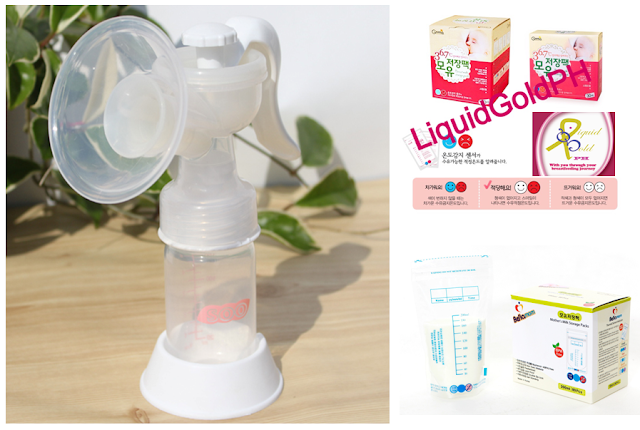 I'm sure you're looking into buying a breastpump. An affordable one with great quality, right? Don't buy just yet! Because I, together with BabyPalooza Bazaar, am giving away one!!! and strength of pumping reaching to over 380 mmHg. That's a lot! So don't miss this chance and join now! BabyPalooza Flyer! Share this on your facebook wall! 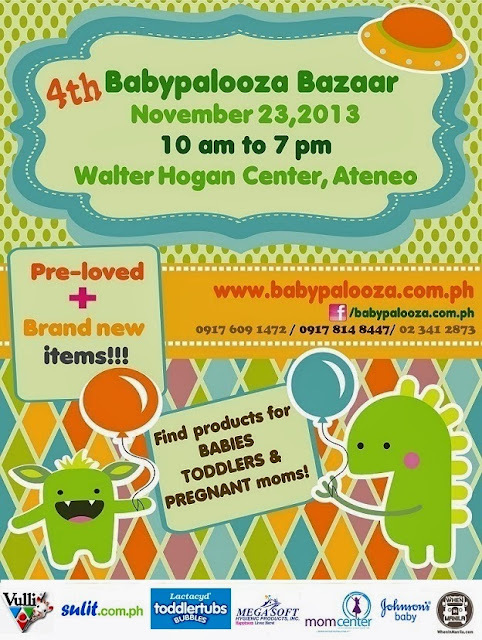 The 4th Babypalooza Bazaar is going to be held on November 23, 2013 from 10am to 7pm, at the Walter Hogan Conference Center inside the Ateneo de Manila campus in Quezon City. What's unique about this bazaar is that they not only sell new stuff, they also showcase pre-loved items! Of course they're all in good condition and very slightly used items for babies, toddlers, and even for moms-to-be! Oh, and parking is FREE! This means you can take your sweet time in shopping hehehe. How about the entrance fee, you ask? It's ALSO FREE!!!!!!! Here's the rafflecopter! Join now! "I am all for breastfeeding. But ther's no doubt that it is not as easy. I for one had a hard time during my first few months. I wanted to give up. It was physically exhausting. And it becomes emotionally exhausting as well when you feel like you don't produce enough milk and your baby keeps crying because he/she wants more." I'm unable to breastfeed my child for some reason, actually. It breaks my heart. :( Luckily, my OB recommended me to take an Anmum Materna to help my child development. Thanks for the sharing, anyway! What maternal milk are you using during your pregnancy?" Coincidentally, I drank Anmum also when I was pregnant :-) I drank it religiously :-) Not just because it's good for me but i really enjoyed drinking the choco hazelnut flavor hehehe :-) Ice cold!! !